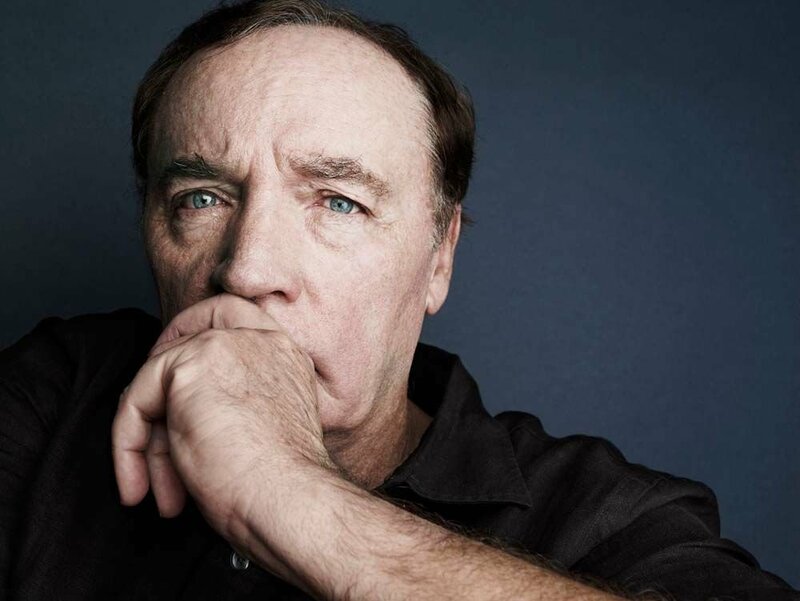 James Patterson, the world's No. 1 bestselling author, doesn't make many public appearances, but he will be at the Wisconsin Book Festival in conversation with Steve Paulson from Wisconsin Public Radio's "To The Best of Our Knowledge." Megan McDonald, author of the best-selling Judy Moody and Stink series, will appear at the Wisconsin Book Festival with her latest, "Judy Moody and the Right Royal Tea Party." That event will be at 10:30 a.m. Oct. 13 in Central Library's children's section. Chloe Benjamin's recent novel, "The Immortalists," probes the line between "destiny and choice, reality and illusion, this world and the next," according to Goodreads. The Madison author will appear as part of the year-long Wisconsin Book Festival at 7 p.m., Oct. 11 at the Central Library. Book lovers who’ve had a chance to check out the Wisconsin Book Festival lineup are trying to figure out how to fit in as many as 60 events over four days this fall. At a first-ever launch party Tuesday, Wisconsin Book Festival Director Conor Moran revealed the authors he’s bringing to Madison for the 2018 festival held Oct. 11-14 and centered in Madison Public Library’s Central Library. While a deluge of authors come during the four-day weekend, organizers have come to see the festival as a year-round celebration culminating during four days in the fall. It’s the first and only kids’ book series officially approved by the Albert Einstein Archives, according to the festival’s website. In the book, a 12-year-old homeless genius orphan, who is obsessed with Albert Einstein, is recruited by one organization and hunted by another. The Alliant Energy Foundation is buying 500 books that will be given away for free to the first 500 children who come to the event. For younger kids, well-known children’s author Megan McDonald, whose most recent release is “Judy Moody and the Right Royal Tea Party,” should also draw big crowds at 10:30 a.m., Oct. 13 in the Central Library’s children’s section. Moran proceeded to promote many events, including political reporter Dan Kaufman’s discussion of his book “The Fall of Wisconsin,” which has been of keen interest to many who pay attention to state government. Pulitzer Prize-winning author and journalist David Maraniss, who has longstanding ties to Madison, hosted the launch party for media and festival donors. A festival panelist and interviewer, this year Maraniss will hold a discussion with No. 1 New York Times bestselling author Mark Leibovich, whose “Big Game,” examines “America’s biggest cultural force,” pro football. Maraniss, a big library supporter who has written 12 books, called himself “The Madison Public Library’s official mascot.” He said his father, Elliott Maraniss, editor of The Capital Times in the late 1970s and early 1980s, in his last year of life was told by a nurse that he could go out to church on Sundays. Jenni Collins, executive director of the Madison Public Library Foundation, thanked all the sponsors and donors who make the festival possible. She also credited Moran for his programming, and said that he’s good at keeping secrets. “He spends the entire spring and summer booking stuff for the four-day fall festival and very few of us know who’s coming” she said. Every once in a while, she said, she’ll see a book and email Moran, urging him to bring the author to the festival, only to find that author’s already coming. Another author who will attract a lot of interest is biographer Kate Moore, for “Radium Girls: The Dark Story of America’s Shining Women.” Moore tells the true story of the New Jersey women who contracted radium poisoning in early 20th century watch factories and fought to improve labor laws and scientific knowledge of radium poisoning. Cultural commentator Rebecca Traister will discuss her “Good and Mad: The Revolutionary Power of Women’s Anger,” a recounting of the historical roots of women’s collective anger — from suffragists to the present — and how it’s informed American cultural history. Emory University African-American Studies Professor Carol Anderson will talk about her new book, “One Person, No Vote: How Voter Suppression Is Destroying Our Democracy,” in which she details the election of Donald Trump and traces voter suppression back to the Jim Crow South where Democratic former slave owners and other whites kept black people from voting. This year’s festival is the 16th Wisconsin Book Festival. It’s the sixth one centered at Madison Public Library’s Central Library. In 2013, the Madison Public Library took the event over from the Wisconsin Humanities Council. All events are free and open to the public. Check out the full schedule at wisconsinbookfestival.org.